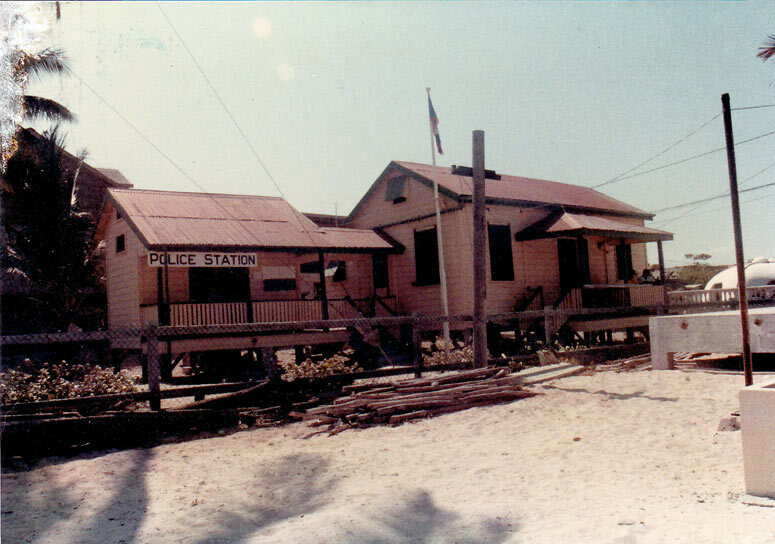 Back in 1975 this was the first police station/Post office on the island and it had only one cell with no lock. If you wanted your mail ( delivered once a week ) and Valentine Smith wasn't taking his siesta he would sort through the handful of mail to select yours. He was the only officer on the island, however he was quite effective. There was very little to no crime and only a few tourist if any back then, you never had to lock you door or worry about being robbed. In Fact all Smitty had to do was sit on his veranda and watch the coming and going of any strangers through the village. And if something did happen, he made it quite clear you don't want him to come and fine you. So many would be criminals would end up turning themselves in be fore sunset. 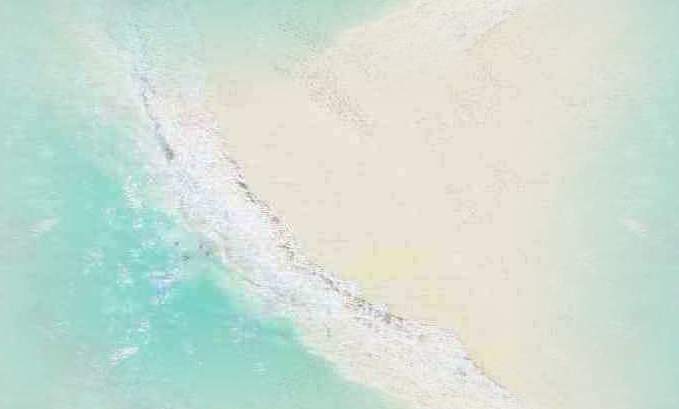 Back then there were only three flights a day and one phone line with fourteen extensions to the island. The one phone line was like an old party line, and there was a phone booth at Enrique Staines Sr. house next to were Elvi's Kitchen is today. It was like a tin can and a long string, everything went through a operator at a switch board in Belize City. It rang in the Staines house and was forwarded to whomever on so many rings. It was a great time no TV no nada, we didn't get TV until the early eighties.